There’s a palpable sense of excitement as I finish an interview with three of the most interesting people that I have ever met in Nepal. Meet the three judges that will be making people from all over Nepal smile, cry, curse and ultimately crown the first ever Nepali roadie: actress Deeya Maskey, with her quirky personality, rapper Aasis Rana, with his poetic lines and actor Raymon Das Shrestha with his calm demeanor. They reveal the ins and outs of taking part in the first ever Himalaya Roadie in Nepal, plus their tips on winning it. Q: What kind of a judge will you be? Assis: I’ll be strict but I can’t compare to Deeya; she will be an absolute nightmare. Kind of like a big brother, sometimes I’ll be nice to you and sometimes I’ll give you a slap. I’ll have my dark moments and I’ll have my bright moments, similar to gham chaya (sun and shadow). Think of us as a plate of daal bhat masu (rice with lentils and meat) so that the viewers will never be bored as there will be different elements that each of us will bring to make the show entertaining. Deeya: The toughest one ever. Raymon: Me, I’ll be the guy to balance the atmosphere. We three have different personalities and it will be interesting to see over the next few months how we develop. Q: What kind of traveler are you? A: Personally, I don’t like to travel much myself and even when I do, I spend most of it sleeping. But as I’m a judge on the Himalaya Roadie, I will be travelling a fair amount, so this time I want to make the most of this series to make memories. When the three of us become grey and old, I want us to remember fondly the experiences we went through over the course of the series. D: Me? Skip me please! (Laughs) I’m not much of a traveler. Seriously, I sleep on the plane, the bus, everywhere and only wake up when I feel hungry, eat and then go back to sleep. Maybe this time, I won’t sleep too much as we will be travelling by motorcycle. I’ll also learn and experience what it is like to enjoy the journey that is the Himalaya Roadies. R: I’m the type where I don’t really care where I’m going and prefer to enjoy the journey instead. Compared to the two of them, I’m a traveler by heart and love travelling by any means. I have a dream to visit every nook and cranny of Nepal and so far, I’ve covered half. There are still lots of places that I want to visit and my main mode of transport is a motorcycle. 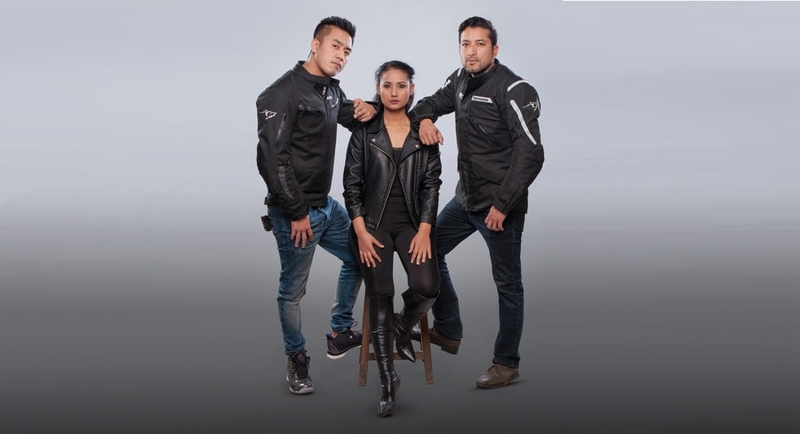 The Himalaya Roadies will be an unforgettable journey for the three of us, the entire production team and the contestants. Q: How do you become a roadie? A: You have to be real and show your true self. There will always be competition everywhere and you will face opponents who might be stronger on paper, but you should always give100% and more. D: Interesting, intelligent, strong, the will to survive and being an innate entertainer; the complete package. R: One individual who can stand out amongst the crowd without being a fake. Q: How will Himalaya Roadie be different from just being a clone of the Indian counterpart? A: Since this is a franchise show, there will obviously be similarities like how KFC tastes consistent all over the world yet adheres to the local tastes as well. In one way or another, we will incorporate local touches to the show, maybe in the way we give interviews or refer to popular Nepali facts. 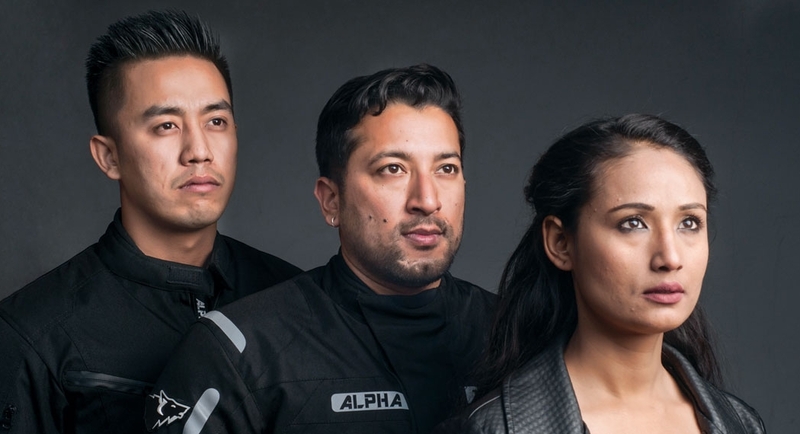 Even though we can’t reveal the tasks, there will definitely be Nepali elements that people will instantly recognize as being uniquely Nepali. D: First of all, the show will be held exclusively in Nepal with three Nepali judges and crew being local as well. R: For us as hosts and presenters, we have to evolve to keep the show entertaining and not copy exactly what our counterparts in India are doing. Location, task and the whole production team will have local elements. We won’t be as harsh as the Indian show hosts. Q: On a scale of 1 to 10, with 10 being crazy, how difficult will the tasks be? A: The tasks will reveal the hidden aspects of the contestants. For example, some could be great at running and others could be great at talking. Overall, the tasks are difficult but not harmful to the contestants. D: 100. For me, I believe that the tasks are extremely difficult but entertaining. You can see how the three of us tried all the tasks beforehand to get a pulse on the difficulty of the tasks in the upcoming series. R: All the tasks are difficult but we have trained professionals to ensure that the tasks are not too risky. Q: How should one prepare for the Himalaya Roadies? A: They need to be physically and mentally prepared. It’s not only the contestants that need to be prepared to be on Himalaya Roadies. The three of us as judges also need to put in the legwork by working out in the gym and building our teamwork. Another aspect that one should prepare for is the social aspect of the game. Do you make friends or do you backstab someone for your gain. D: Of course one should be mentally and physically prepared to be on the show as those are necessary to survive even out in the real world. Himalaya Roadies is just a subset of everyday life that presents obstacles to contestants in a positive or negative manner to observe how they can tackle them. R: First of all, they should be prepared as the two of them have mentioned. Secondly one should not mistake this show as just a bike show. There will be a part showcasing travel by bike. It is a show about surviving in a crowd. The tasks will be physically demanding but you should have the mental strength to overcome your physical limitations. A: This topic is a controversial one which allows us to claw the thoughts inside of the contestants out into the open. D: For me, as a girl, this question is very important. I can learn many things about the contestants just from their responses. I hope to raise awareness about this issue through the show as well. R: People are honestly hypocrites; they say one thing but practice another. So this question will help in weeding out those hypocrites. Q: Where do you think the first ever Himalaya Roadie will come from? All: We really can’t guess where the first winner will hail from. So far, the response has been good in Kathmandu and Butwal with the other areas picking up steam as well. Each area has its own unique charm. We’ve seen footage of people being genuinely excited about taking part in the Himalaya Roadies. Q: Final piece of advice for the contestants? A: Be mentally prepared for physical and mental torture. The way through hell is never easy. Never give up. D: Be yourself, don’t be a fake and reveal the entertainer in you. R: I agree with Deeya; be real and be you. Come and have fun on the Himalaya Roadies. What is the Himalaya Roadie? It is a reality show, based on the popular Indian TV show MTV Roadies, on how to stand out in a crowd and aimed squarely at the youth of Nepal with the attitude of adventurers. Contestants will be given seemingly impossible tasks in order to push them to their breaking point and more. They will be travelling to scenic locations all over Nepal and the last one to survive the trials and tribulations will be crowned the first ever Himalaya Roadie.